When a child is unable to perform everyday activities like eating, washing, and playing, their self esteem suffers. Independence is important to growing kids, and gives them a healthy and healing boost of confidence. That’s where Baron Therapy’s occupational therapy comes in to save the day. Baron Therapy is a leading provider of occupational therapy. Our experts help children who struggle with everyday activities. We’re qualified to treat an large range of disorders with this life-changing therapy. We love giving your child the gift of independence and seeing their joy and productivity grow! The first step in providing excellent therapy for your child is an evaluation. First, our occupational therapists will schedule an evaluation. They’ll work closely with your child and you. This way we can develop treatment plans that will be tailored just for your child’s needs. 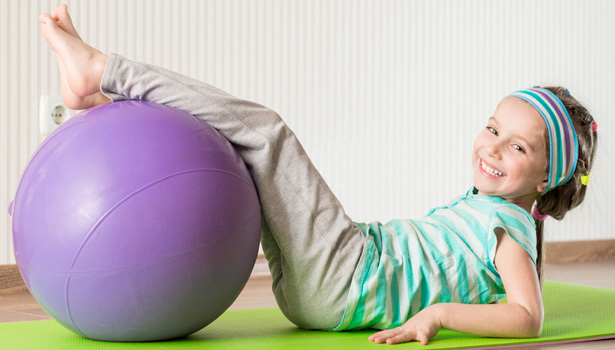 Occupational therapy can help your child to use their hands, arms, legs, and whole body. This way, we work on improving both their physical and thinking abilities. Our methods focus on improving your child’s abilities to do everyday tasks. Occupational therapy has lots of ways to help your child. First, we address the root cause of your child’s challenges. Then, we teach them to use their strengths to overcome their weaknesses. We have large indoor and outdoor playgrounds for physical fun and exercise. And we have special therapy rooms set up like household kitchens and bathrooms. The earlier developmental disorders are treated, the better. Early intervention can sometimes completely remove an issue. It also helps prevent further issues as the child grows, goes to school, and becomes an adult. If you suspect that your child may have a disorder that occupational therapy could help, trust your instincts! Schedule an evaluation with one of our therapists. Our occupational therapy services are proven to help children with all kinds of developmental difficulties.